Recently, I had the opportunity to see the premier of the documentary “Robert Eaglestaff and Indian Heritage”. Robert (Bob) was well known to many in and around the Seattle Native community for his tireless work in Indian education. He helped to guide Seattle’s Indian Heritage School into a model inter-tribal program that stressed both academic rigors with traditional cultural values. 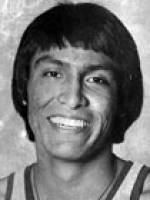 In addition to his work in Indian education Bob, from Standing Rock, was a legend on the basketball court who was inducted into the University of North Dakota’s Hall of Fame in 2004. Tragically he passed away in 1996 at the age of 43 leaving a leadership void in the Seattle Indian education community. I spoke with the film’s producers Rimone Brandom and Sarah Wilson (Oglala Lakota) about the film, the legacy of Bob Eaglestaff and the future of Seattle’s Indian heritage program. Tell us about Robert Eaglestaff and what he meant to the Seattle Indian community? Rimone: Robert Eaglestaff, a Lakota Sioux Indian, became Principal of Indian Heritage at a time when the school was struggling to serve its students, and turned the school around to become a successful institution for the Seattle Indian community. His influence in the students led to many of them to prosper in education, despite the fact that many of those same students struggled in school prior to enrolling at Indian Heritage. Bob Eaglestaff had a great, rich life, though I must be clear that the documentary is not a full biography of his story, as it mostly focuses on his career at Indian Heritage, with some back story on his past successes, in order to help understand who he was and how he carried his life experience into his role as Principal, to help the students. Sarah: I believe Robert Eaglestaff had a unique talent for bridging differences, resolving problems and intertwining cultural connections among his students, educators, administrators, parents and community. Our intertribal community is dynamic, layered and complex. Robert Eaglestaff had the skills, determination, and most of all vision to rise above the systematic racism of SPS (Seattle Public Schools) and create a school (not just a program) which successfully served the unique cultural and educational needs of our urban Native students. Robert undisputedly developed a culture of success for our kids. The academic curriculum, school atmosphere, school environment, instruction, athletics, cultural language, song/dance classes, resources and support systems all formed the foundation of a model school for other Districts serving Native students. This has not been replicated in our area and we would love to see the district work collaboratively and cooperatively with our Native community to establish a viable H.S. program to serve the unique cultural and educational needs of our urban Native learners. We continue to meet with SPS leadership to assert our civil and treaty rights and we will continue to seek educational justice and equity for our Native students. Tell us about the film and why you wanted to make it? Sarah: UNEA (Urban Native Education Alliance) wanted to make a film which highlighted the unique success of Indian Heritage under the leadership of Robert Eaglestaff. Given recent elimination of Heritage program and the BEX Levy passing we are now faced with the reality of the physical site being wiped away, with SPS planning 2 new mega schools to replace Wil/pac building. The institutional memory the legacy and the Native community connection to Indian Heritage at Wil/Pac (Wilson Pacific) site will fade away and disappear. We want to keep the memory alive; we want to honor a great contemporary educator, leader and community member ‘Robert Eaglestaff’ alive. His impact on students, parents, family, peers, educators, and community as a whole is unparalleled. We must hold the district accountable for its promise, the promise to rename the school after Robert Eaglestaff. Our organization has taken the initiative to resurrect the promise and to uphold our commitment to Indian Education. UNEA has followed our traditional protocol and we have complied with SPS procedures according to their policy for renaming buildings. There has been overwhelming support to rename the school coming from both Native and Non Native organizations, agencies, groups, committees, programs and individuals. We also wanted to capture the stories of the parents, students, educators and family as a way to memorialize Robert E. and the legacy he has left for us all to carry forward. He led an exceptional life with many accolades, accomplishments and achievements and he shared all his gifts as a true Lakota to his people, his intertribal community. Rimone: This film is about American Indian Heritage School, a school that integrated Native American culture into its curriculum. Also, the documentary covers in part, the story of who is arguably the best Principal in the school’s history, Robert Eaglestaff. I wanted to make the film because I wanted to honor the school, which in recent years has ceased to exist. I went to school there from 6th grade all the way through to my high school graduation in 1999. Bob Eaglestaff was my Principal the first few years I was a student there, and his influence was definitely felt by me at that time. I felt that making this film was my way of “coming home” in a sense, to honor where I learned to respect education, Indian Heritage. There has been a strong movement by the Indian community to save the legacy of Indian Heritage, and I support that fully. The Indian community needs a place for our children to have a better chance for success in education. I am hoping my film will reach the community and help to show that we need to stop being swept under the rug as students. What are the next steps for the film? Rimone: I am hoping to have another screening of the film, after the success of the premiere, which was held at the former location of Indian Heritage, the Wilson Pacific building in North Seattle. No plans have been set yet, but that may change, depending on how soon we can find a good location to hold a screening. After that, then I will focus on what is the best way to get the film out to as wide an audience as possible. Sarah: We hope to support Rimone Brandom and Craig Stratton (Struggling Productions) to find appropriate venues for sharing this important story ‘Eaglestaff’ I want to acknowledge the film director and producer for their focus, determination and perseverance in making this amazing film. I know they all put a lot of heart, sweat and tears into making this an accurate account of Indian Heritage and story of Robert Eaglestaff. What is the future for Seattle’s Indian heritage high school, and the efforts to name a school after Bob Eaglestaff? Sarah: We are uncertain about the future for Indian Heritage given the program has been eliminated and students have been dispersed into other programs. UNEA has initiated a proposal with broad support from students, parents and community, to develop programs within 1 or 2 SPS H.S. which will provide Native focused curriculum, instruction and materials and resources. There are 3 phases to this proposal with the goal to establish a critical mass of students to reestablish and grow student population into a sustainable and comprehensive Native focused H.S. school for Native and non –Native. Despite SPS leadership voicing publically their support for ‘Revitalizing Indian Heritage H.S.’ they have not made any fiscal or budgetary commitments for ‘revitalization’ of a H.S. program or school. UNEA is committed to advocating for our Native learners and we believe we will need to continue to press SPS and seek ally ship and support from SPS Board members, educators, administrative leadership and those interested in pursuing educational justice and equity for our Native learners. Rimone: I cannot speak for the ultimate fate of Indian Heritage, nor can I speak on the renaming of the school. I would love to see Indian Heritage come back in some form, as long as it does justice to the school’s history. Renaming the school to Robert Eaglestaff School would be a great honor to his name, and if I’m not mistaken, it would be the first school to be named after a contemporary American Indian. 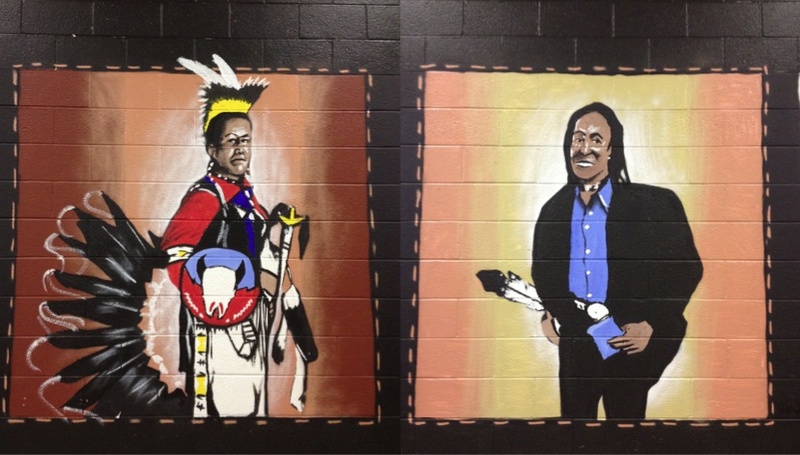 Other schools named after Indians are usually from a historical source, such as Chief Leschi and Chief Seatlh, for example. The efforts to rename the school did not begin with my film, nor will they end with my film. While my film does cover the topic of the efforts to rename the school, it is only part of the overall story within the film. This entry was posted in Tribal Education, Youth Education and tagged Ft. Yates, Indian education, LRInspire, matt remle, Rimone Brandom, Robert Eaglestaff, Seattle Public Schools, University of North Dakota by lrinspire. Bookmark the permalink. If you are interested in honoring indian educators, my brother Jon Claymore would be an interesting candidate. He is from fort Yates ND standing rock Indian reservation and had been superintendant/principal of several schools out in Wa. He’s been turning schools around for several years. He’s in Tacoma right now. He’s been in Tahola, LaPush Lacy and one more that I cannot remember. He and his family resides in Kingston so he travels home on the weekend’s from Tacoma. He has started many many school programs,sports in schools and several more programs. He has many awards and has been inducted to the hall of fame in Jamestown, ND where he set many records in track and field with the best Javlin throw in the nation (he was at University of Nebraska at the time)before graduating from Jamestown college. He would be a great person of interest. Our father,GernellClaymore was the principal/superintendant of schools while we lived in ft. Yates. We knew Bob very well, my two older brothers played football and bb ball with him. Thank you for taking the time to read this. We are from the Cheyenne river Sioux tribe in SD.